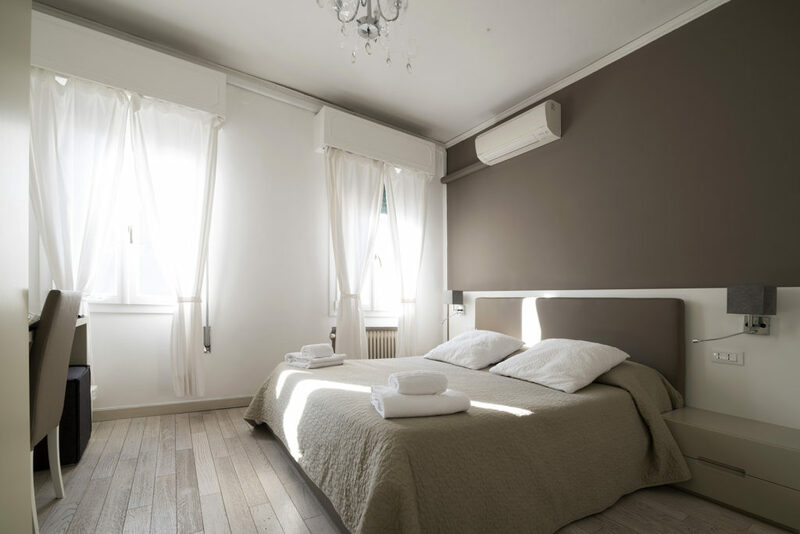 The 10 rooms of Al Portico Guest house in Venice, disposed on three levels, are right in the historic city center, in a quiet area, easy to reach from the train station and on the way to St. Mark’s Square. 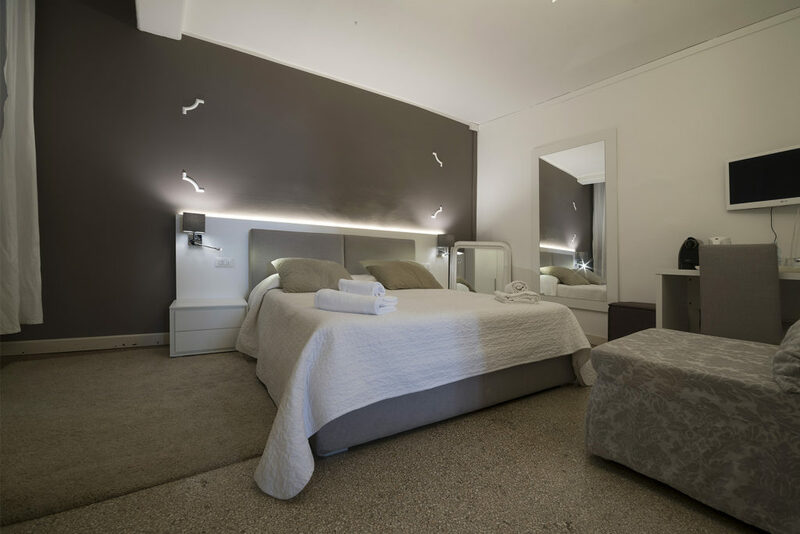 Well-lit and modestly furnished, the rooms offer the comfort and intimacy of a small hotel, with a relaxing, warm atmosphere. All the rooms have private bathrooms. They are available as double, Superior double and Triple room. This classically furnished room features a large double bed and a fully equipped bathroom with bathtub or shower. This large room is accessible via staircase. It features a sitting area and a fully equipped bathroom with bath or shower. In some cases, private balcony or view on the city. This air-conditioned equipped room comes with a desk and a private bathroom with a hairdryer and free toiletries.